It’s that time of year where I’m plotting my outfits for festival season! I’m flying to California today and headed to Coachella this weekend, and I couldn’t be more excited for live music in the sun with my friends. And we’ve got tickets for a few more festivals later this summer, too. Makes me so excited just thinking about it! I feel like “festival fashion” usually makes you think of super boho outfits, which isn’t really my style. It always takes a bit of work for me to find things that are appropriate for a music festival, fit with my style, and are practical, too. (Rompers are always great in theory, but I don’t recommend them in the porta-potties. Just sayin.) It’s easy to get caught up in the whole super trendy festival attire, but if we’re being honest, I always opt for comfort and classic styles over super fashion-forward looks. For me, the weekend is all about having fun with my friends, experiencing some of my favorite artists live, and discovering new music. I’ll be sure to post my outfits on Instagram this weekend! 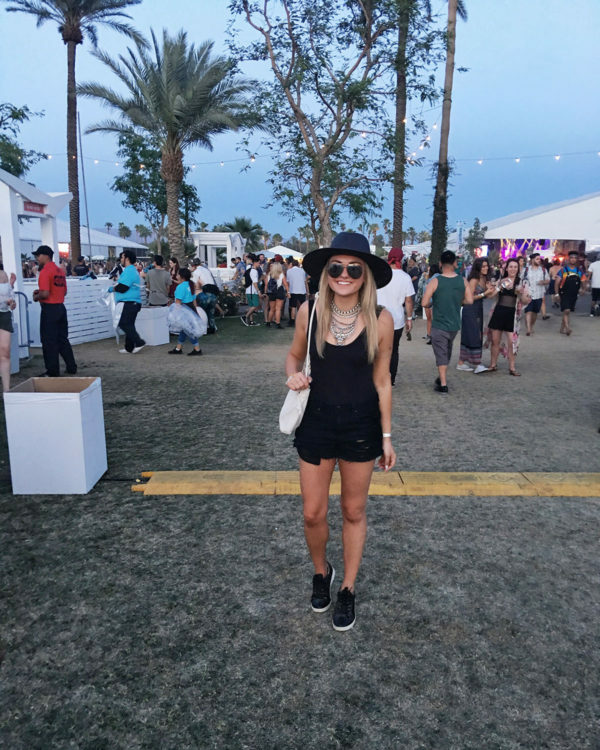 If you’re heading to any concerts or music festivals this summer, pin this post for outfit inspiration down the road! 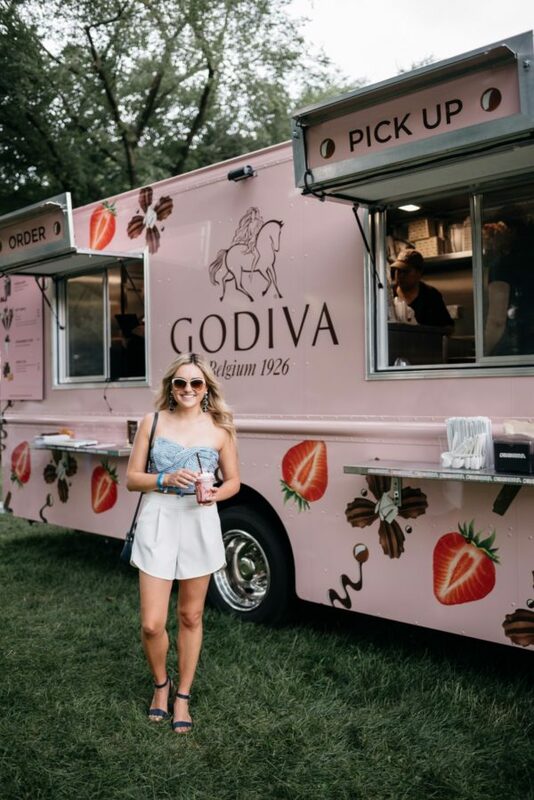 This outfit is right up my alley for a daytime concert! 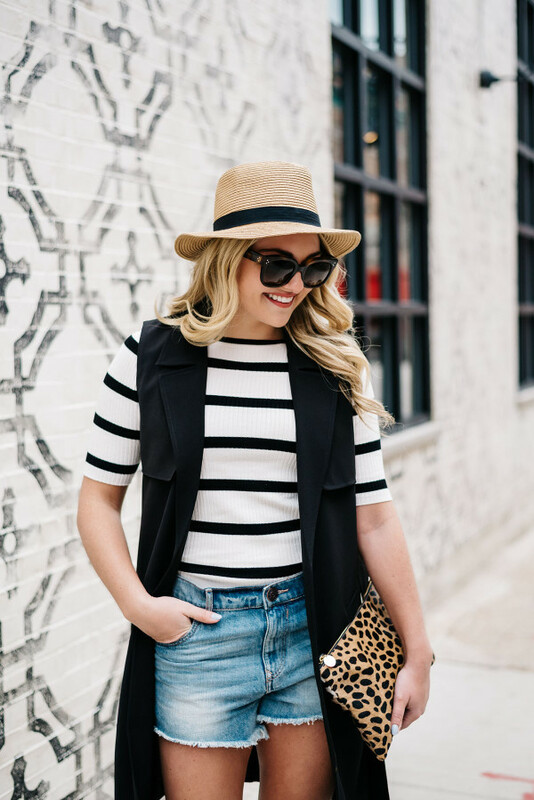 You can’t go wrong with a denim jacket, simple white tee, cute shorts, a crossbody bag, and simple sneakers or sandals. A long layering piece is definitely on trend for festival season! 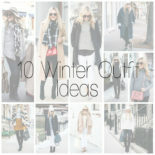 Whether it’s a sheer duster or a kimono style, you can definitely up the fashion factor with a long layering piece. 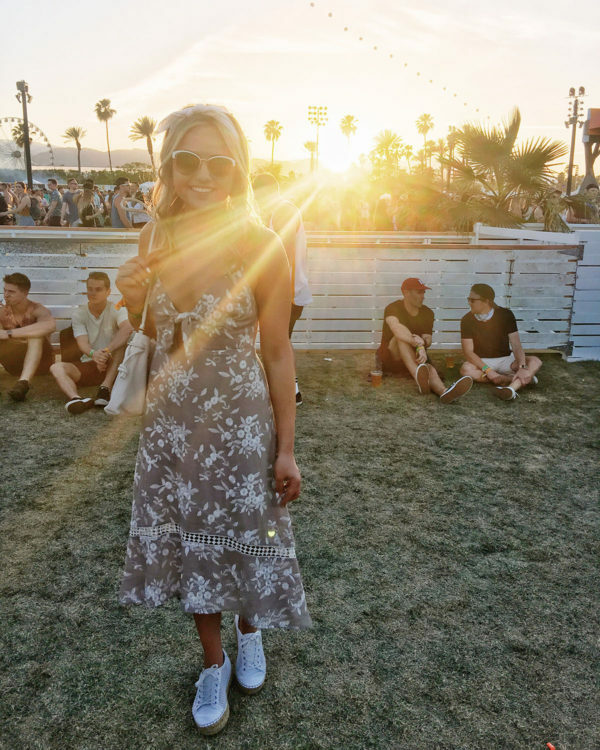 This is what I wore on Day 1 of Coachella last year! One piece, done and done. I always like to accessorize with a bandana in my hair or around my neck. And it comes in handy with all of the dust in the desert. This was my Day 2 outfit for Coachella last year! I kept it simple with black shorts, a black bodysuit, and sneakers and then let the accessories do the talking. This is what I wore for Day 1 of Lollapalooza in Chicago last summer! (You can get a better look here!) I generally steer clear of open-toed sandals with the crowds, but I took a risk since it was a Thursday and a little bit less crowded. 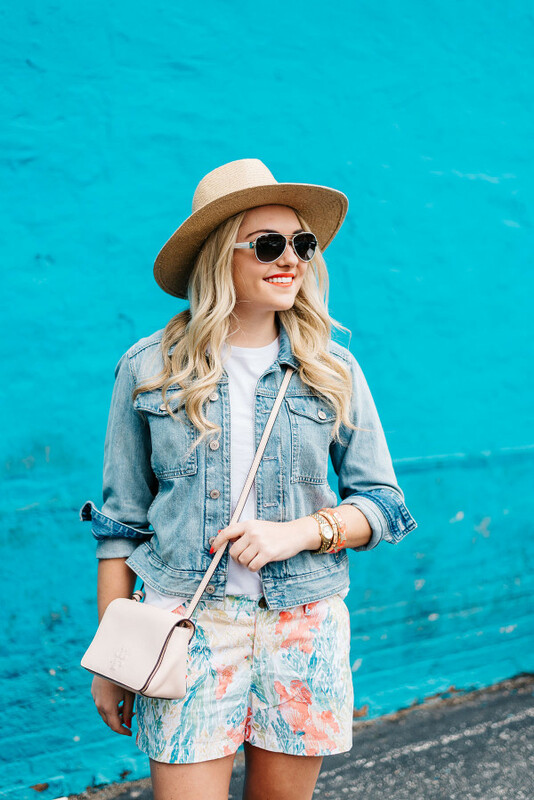 Fun or colorful sunglasses always take your look up a notch! And you can’t go wrong with some braids in your hair. I wore this outfit to North Coast Music Festival in Chicago two summers ago! 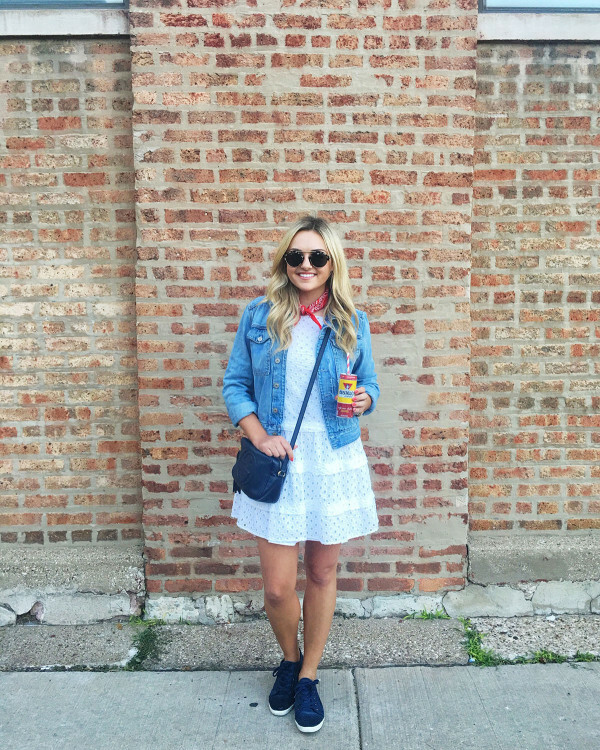 This is one of my go-to outfits for a casual festival in Chicago… A breezy dress, sneakers, crossbody bag, jean jacket, and a bandana for a little pop. 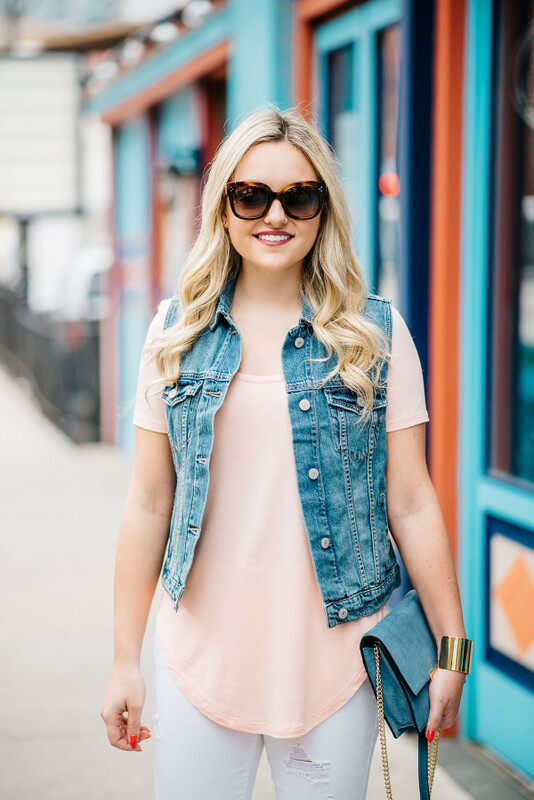 If it’s too hot for a denim jacket, layer a denim vest on top for a little bit of interest! It can definitely get chilly at night, even in the summer months! 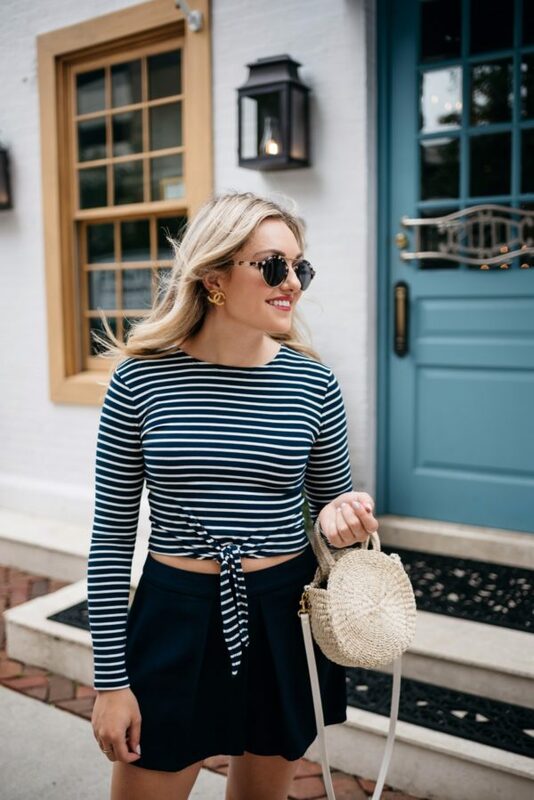 A long-sleeved crop top with high-waisted shorts is always a good option. Minus the little clutch, this is totally an outfit I’d wear to a festival in Chicago in the summer. Even though Lolla is the first weekend of August, there have been years where it’s REALLY chilly on a day or two. (Probably because there is a huge storm that clears out the festival every year, without fail.) 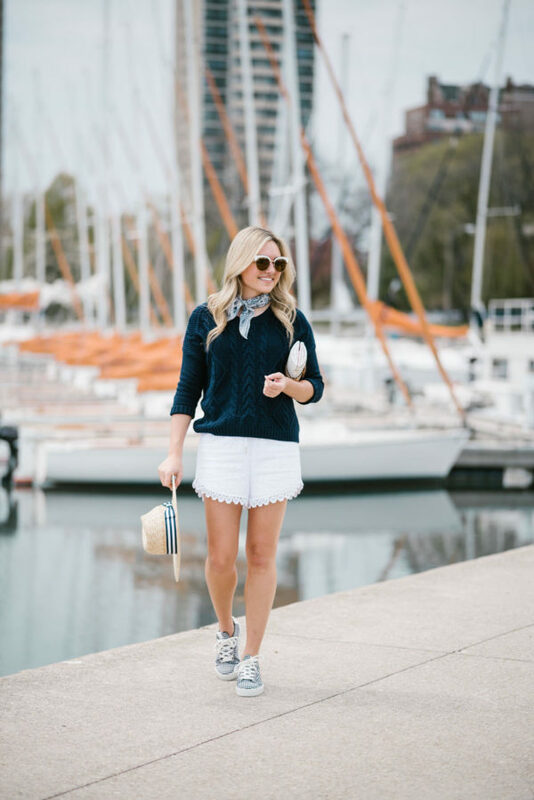 Cute sneakers, eyelet shorts, a breezy sweater, and a cute neck scarf is right up my alley. Check out the outfit post here! I see you know also to dress perfectly in the festival season. Love these looks! These are cute outfits! I really love the flowy dress! Even at music festivals you are classy!! I guess I never thought of the whole romper and port-a-potty situation. That could be a hassel! 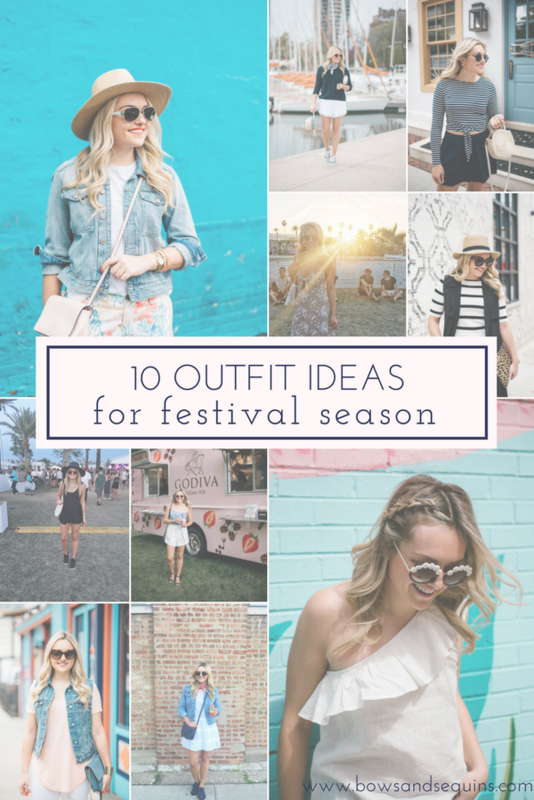 Such a cute collection of festival looks! Wow, so many great outfits! I’m all for the casual vibes.